Are you in search of an attractive and financially intelligence way of making your home better in several ways? If that is the case, then you need to call the team at Clear View today on 08001 357 167. We have exceptionally effective sliding doors Castleford residents are queuing up for so that they can improve their properties. Get in touch with us and let us know how you would like to start improving your home’s living quality. When it comes to choosing a company for sliding doors Castleford, it always pays to make sure you are selecting the most reputable and competent team on the market. With this in mind, it’s not surprising that so many people are choosing us for sliding doors and aluminium windows. There are many benefits to having our qualified and experienced team installing sliding doors Castleford in your home. They will help improve the energy performance, which will lower your energy bills by helping to keep heat inside your home when it’s cold outside. This is just one of the myriad of reasons we should be your go-to provider for sliding doors and more. So, if you are looking for an aesthetically outstanding way of improving your property in a variety of ways, including sliding doors Castleford, then get in touch. We are available on 08001 357 167, where our experienced customer services team will give you all of the information you need to make a confident decision. Whether you are looking for a straightforward replacement of a single unit or would like multiple sliding doors in Castleford installed, we are the team you need. Our tradespeople are professional and well versed in providing an efficient and effective service. We always do our best to impact your day to day life as little as possible during the project. The doors will give you nearly completely unhindered views of the outside world, which can really help to open up your property. It’s especially helpful at getting light into a room which has been otherwise dim and hard to brighten. 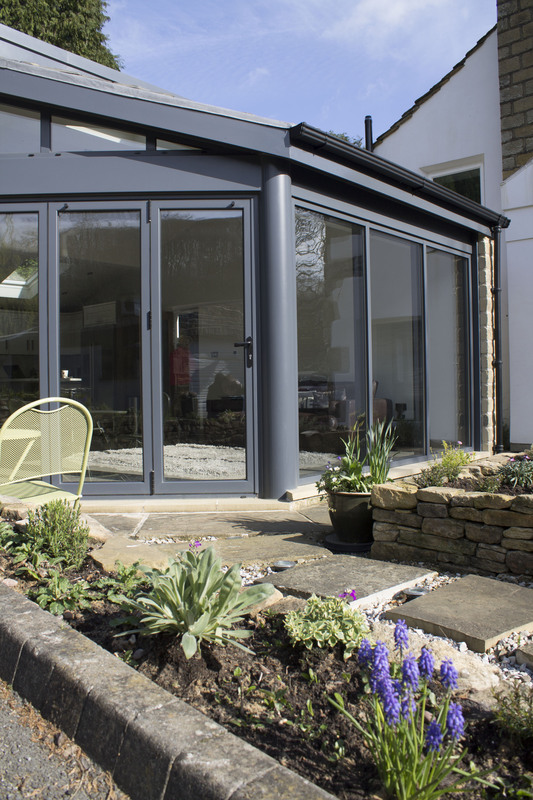 Just as with our folding doors and aluminium windows, our Castleford sliding doors are designed and manufactured to the same exemplary standards. This has put us at the forefront of the market and the industry itself because our name is synonymous with quality and affordability. Balancing aesthetics, practicality, efficiency and reliability have been made easy with our products and services. This includes our entire range, not just our fantastic Castleford sliding doors. With minimal maintenance, outstanding security, excellent insulation, and a price tag that won’t break the bank, you can be sure we guarantee complete satisfaction. 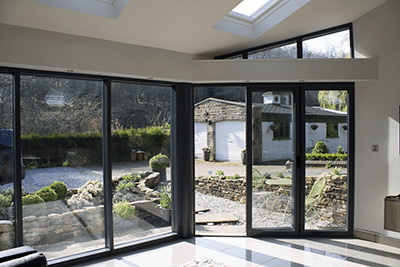 So, whether you’re searching for bi folding doors or any of the other products listed above, you simply cannot go wrong when you choose Clear View. For more information, call us today on 0800 1357167. Why Choose Us for Sliding Doors in Castleford? 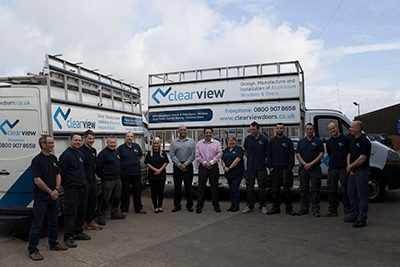 Here at Clear View, we don’t just install stock units that are retrofitted to your home, which would leave them seeming somewhat out of place. We use a material called thermally broken aluminium, which is an aluminium alloy that prevents heat from escaping. Contrariwise, during the hot summer months it will also enable your home to keep the cool air in, which will boost your air conditioning efficiency and effectiveness. Our designers are specialists in CAD (Computer Aided Design) and all of our sliding doors Castleford are designed and fabricated to your specific requirements. This means every solution we deliver is bespoke and will fulfil your unique brief to the highest standards. If you would like more information about us and our services and products, including sliding doors Castleford, then contact us today on 08001 357 167. Alternatively, you are welcome to write to us by filling in the online form on our website – we will endeavour to reply quickly and comprehensively.